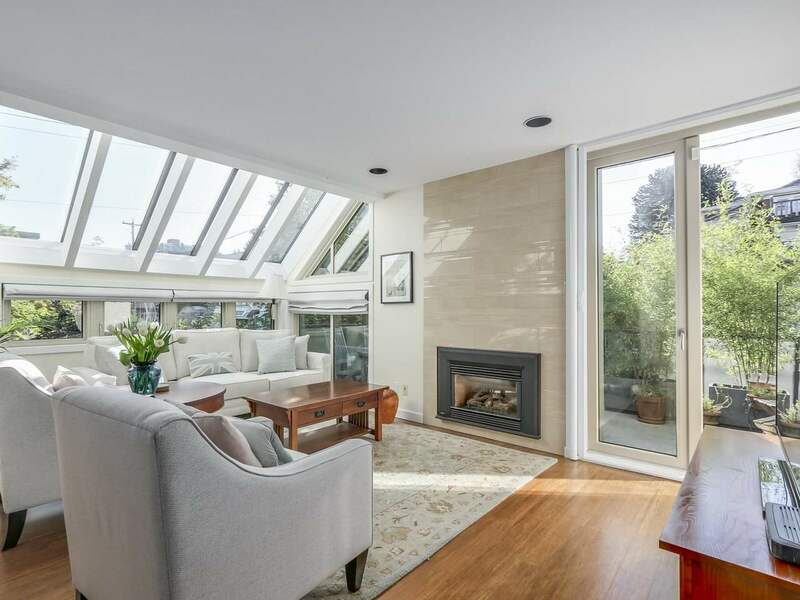 Bright, spacious one bedroom and solarium suite in Arbutus Village! Centrally located, yet surrounded by gardens, this large South-facing unit has recently been refreshed with new carpeting, tile and paint. Features also include insuite laundry and newer appliances. With over 950 square feet of living space, this home easily accommodates house-sized furniture. Just steps to transit taking you downtown or to UBC. One parking stall and storage locker included, no pets or rentals allowed.